Roberto PEREYRA of Watford and Rodrigo DE PAUL of Udinese are both expected to be included in the latest Argentina team. 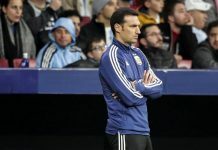 Argentina coach Lionel SCALONI has put off announcing his list of players for next month’s friendly matches due to injury problems. 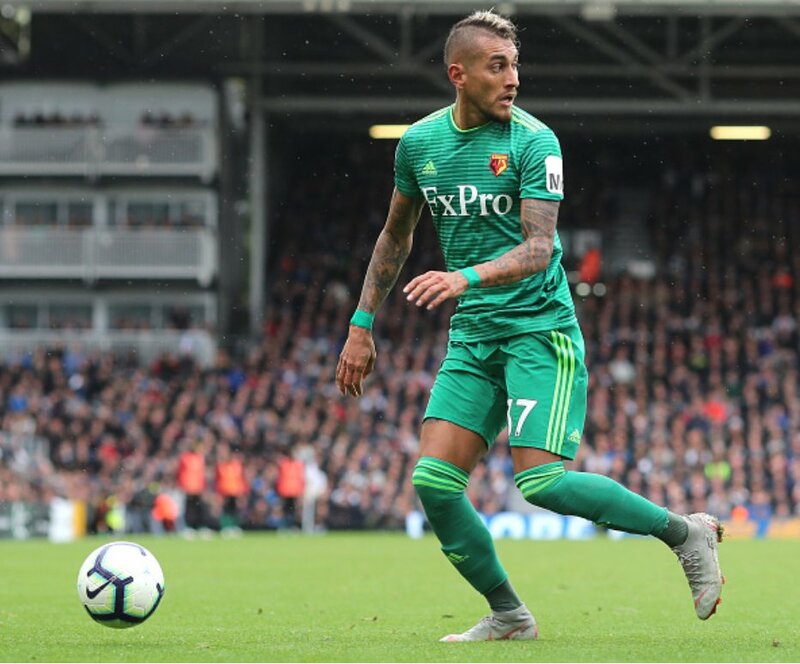 With the team to be announced on Friday, Cesar Luis MERLO of TyC Sports is reporting that Roberto PEREYRA and Rodrigo DE PAUL will both be late inclusions into the squad. Both players are in fine form for their clubs and would add a lot to the team. PEREYRA was part of the 2015 Copa America squad while this would be Rodrigo DE PAUL’s first call-up for his country. 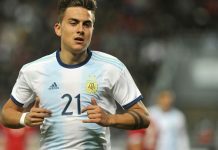 If Pity Martinez will not show signs of being able to recover from injury for the friendlies De Paul and Pereyra takes the place. If not Pity De Paul is right choice. There could be also J.Correa. Maybe next time. And still I think Scaloni should keep Pity Martinez in team. Still there are some chances he will play 3 october in CL so the more some chances to recover till 16th. For me also Pity over De Paul for few typical winger features. Pity impressed Scaloni not only in friendlies but also on training session. He is his first choice no doubt. But now it’s the injury question mark. 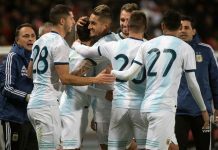 Pezzella, Mammana,Ascacibar,Battaglia,Paredes,Palacio,Martinez,Tagi,Lo Celso,Povon and Lamela to be permanent members of the squad. 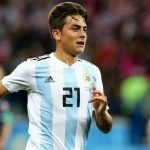 Pity is unchangingly one of biggest talents in Argentina since 5 years. I really like the kid, I watched him against Colombia, I was at the stadium setting just on the same side he plays and kept a good eye on his movement, and how he can occupy empty spaces quickly, look at the shot he did in the beginning of the match and see his movement. he is very promising. Personally pity is better than de pual. Seems situation doesn’t improve with Joaquin despite his club change. I am such a big fan of this guy even though I have only seen him playing few times. He could be this kind of half winger half striker: fast, technique, tall and powerful. Ocampos has similar profile, less talented but more hard working. We definitely need to have this type of player in attack when we need to play with a little striker if Icardi is injured. What happened to lo celso??? I always believe morning shows the day. I always compare legends with similar age what they did to find some answer. There can exceptions as well when someone improved immensely with age. Le Celso is just an above average player for me. He is not at the level redondo , veron ( on prime) or gallardo yet. I hope Le Celso will improve and prove me wrong. Lucas Biglia scored a cracker goal. He should get a chance too. For the national team that is ridiculous honestly is. Joke of the day, I hope people can read between the lines, WE don’t want to lose direction by calling every one that scores a goal somewhere or this guy played well in one match. I think the sarcasm was especially toward the old guard players as they are shining one by one in clubs now so “We should call them back”. Old song. One thing I like about Scaloni is he open to all players who r in for. Even if they r playing in which ever league. And that has never happened to us in long long time. Even Sabella didn’t select some inform players. His backup players were bad. Player selection of Scaloni is fantastic to say the least. Paulo Gazzaniga of Spurs is getting some regular playing times nowadays & doing well too. If it continues, he should be monitored closely for the NT in future! & he is only 26 now! We really so much in need a trustworthy guy between the sticks! Ayon: agreed and at 6 ft 5 hes large as well, id have no problem if he was to be given a chance in that 3rd position and is defiantly one to watch and atm for me hes ahead of rulli who has gone back wards over the last 2 years. What is he doing well at spurs. Spurs started to loose all the matches after the injury of lloris. He will never get any playtime once lloris is fit. Dear Mrinal, in which matches he played, Spurs didn’t loose! I just wanted to say that, if he continues to get playing time & do good, he may b get just a chance in future, thats it! Bcz, he has age for him & I read that Poch is considering him as no.2 regularly! & our past gks were hardly no.1. So why not?? And i did say spur is performing bad without lloris. He played against watford and burnley a draw and a win but he was not good. As i earlier said , i have seen that meza defensive abilities he can be a very good option at RB position , but that intern coach scaloni doesnt know how to work on it. Argentina should sign a permanent coach without wasting the time. Good luck with that. I don’t think it’s that easy to change at his age. I’d prefer convert a center back into fullback. Go ahead our beloved Argentina! This is the list I am waiting for…Scaloni in good direction. Scaloni is already making better selection decisions than the six coaches before him. De paul and perrera looking physically good players. That kind ofplayers will be an asset for nt. I wish occampus And kranvitr can also get thr best foam in nt. My one opinion is that scaloni needs to find physically tall and talnted players in back line. Bcz we understands that croatia and france used almost all physically goodplyers in thr back line. Thy nvr gets injured. Problem with lanzini is he cant continue 10 matches in a raw. He seems like fit in a match next day he got injured. That kind of player will be a blow in the middle of a tournmnt.He is absloutely stylish player and best among 5 in arg . Same again happening pity also. 2 matches plyd got injured. Same also lamela. Injuries r thr main concern coming to NT. Both would be well deserved call ups if true and hopefully Coco will be included as well. From Argentina I’m hoping that Barboza, Angeleri, Abecasis and Dominguez all get a call up instead of the likes Franco, Bustos and Meza but I doubt it will happen. Pity is injured and if Depaul is brought in to replace him then it would make sense. It’s funny how as soon as MERCADO got hurt Sevilla start winning. What do u guys think? I know lamela has improved a lot his game But he needs to stay consistent . Yeah. He’s doing great now and did really well prior to his injury a while back. Hes a Fan favorite among spurs supporters. he would be a great addition…pacey (not super fast), great at dribbling and playmaking, isn’t afraid to take shots outside the box, and hes relentless in his defensive duties. I’m sure he’ll be called up soon. I hope he stays injury free.. Absolutely! Counting the days to his return. Only downside, to your point, they’re both injury prone. if Lanzini wasn’t injured, I’m sure bigger clubs would be hounding him right now. Quality player. For me if comes to down lanzini and lamela. I will choose lanzani. 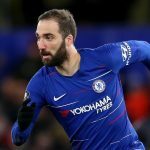 as Godin11: pointed out he need to add consistency to his game and stay injury free as that some of the reason he lacks consistency-to much stop start. im a big fan of Lamela and really want him to be success for my Tottenham and best a big success in the n/t, hes the talent and will to win with out a doubt. Pablo.d ‘re you spurs fan really? Godin11: yes sir and ive been to the lane a few times, been a spurs fan since 1979 when they signed one of my hero’s Ardiles and then villa, that made me a spurs fan for life. my 1st game at the lane was vs leeds and the Argentine Mauricio Taricco scored a stunner for 30 yards to win the game for us. ive only see the n.t play once live and that was an amazing experience, messi was playing and the best was when I left Melbourne (it was vs aussie quite a few years ago) and when I was leaving at the airport I saw many of the team and got to speak to a couple of them. I have the match day program for when maradona donned the spurs shirt and a good friend of mine was their at the game.